I recently moved and now have space for many more do-it-yourself (DIY) projects compared to my previous city apartment. 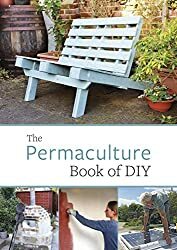 Well, now I’ve added even more to my to-do list after reading The Permaculture Book of DIY. This book is a compilation of 23 different projects based on permaculture principles – meaning that they are designed to be “low impact, ecologically sound projects” based as much as possible on nature. The designs included in this book were meant to be not only practical but also visually appealing and to require as few, ideally recycled and thrifty, materials as possible. The projects in the book are written by 19 different authors, most or all of whom live in Europe. 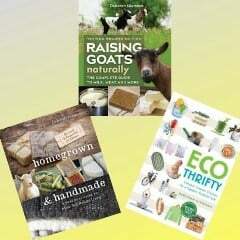 These include farmers, permaculture teachers, design consultants, craftspeople, and homesteaders. Some of the 23 projects in the book include a wicking raised bed, triple bay compost bin, pig ark, cider press, wood fired oven, self-watering container garden, and pottery kiln. You can also learn how to heat water with compost, collect and clean rain water, and make homemade paints. Additionally, there are a few energy-related projects such as a solar electric bike, solar food dryer, and instructions for installing solar panels. Included with each project is a list of materials and tools needed, measurements, step-by-step building or assembly instructions, and color photographs. HT (Heat Treated) – This means that the pallet has no chemicals. IPPC (International Plant Protection Convention) – This means that only heat treating was allowed. EPAL (Euro pallet) – This also means that only heat treating was allowed. MB (Methyl Bromide fumigation) – This means that you should not use or burn this pallet. If a pallet is clean and has either the IPPC or EPAL code, then it should be safe to use. We are working on clearing some land to build ourselves a barn and a wood storage shed. I also have lots of DIY projects planned for inside the house, such as painting with homemade clay paint, replacing countertops with live-edge wood, and building our own bedroom set. I’ve never worked with pallets, but see them available all the time so they seem like a great reasource! I have so many projects planned. This year, we’ll re-build the garden fence we took down last year, put in a clothesline, and hopefully get a greenhouse going too. I already have a stack of pallets for some projects (like the chicken coop and rabbit hutch, so we can introduce animals to our emerging ‘stead). We have other plans too (chicken wire cages to keep things out of the garden beds, etc.) but found trying to do too much at once stalls our progress…this year I want to add things as we can and not try to force it. Thanks so much for the guide on pallets. I knew some were better to leave alone but I didn’t know how to tell the difference. This is quite helpful, especially for those of us who want to keep things chemical-free! We have used pallets to make a compost bin. It has lasted an incredibly long time and the pallets open spaces help with aeration. I’m working on compost design and hope to see some new ideas! I love using pallets for gardening. We are planning on building a new chicken coop this year. Pallets are a must in homesteading 🙂 They are so versatile! So many ideas…..so little time! I plan on doing my flower garden with pallets this year. I have never worked with them but I’m willing to try. We just moved in last fall so I have a tom of projects this summer. Everything from raised beds to compost. And I will definitely be using some pallets. 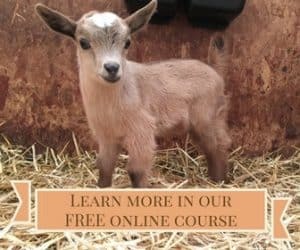 We are new to homesteading. We are trying to get a house with land so we can farm our own veggies. First we have to sell our house we live in now. I’ve used Pallets in my garden and also to make my compost!